Brazil - It took 3 years to build the Olympic golf course in a wildlife reserve in Rio, now the sandbelt venue is run down and empty! What was meant to be part of the legacy of the 2016 Olympics is now crumbling to dust! The Brazilian Golf Confederation has not paid the management company for months. “We are bitterly disappointed if this is the outcome for all of our efforts in creating the Olympic Course,” said Gil Hanse, architect of the Rio Olympic Course, to Golf World last November. 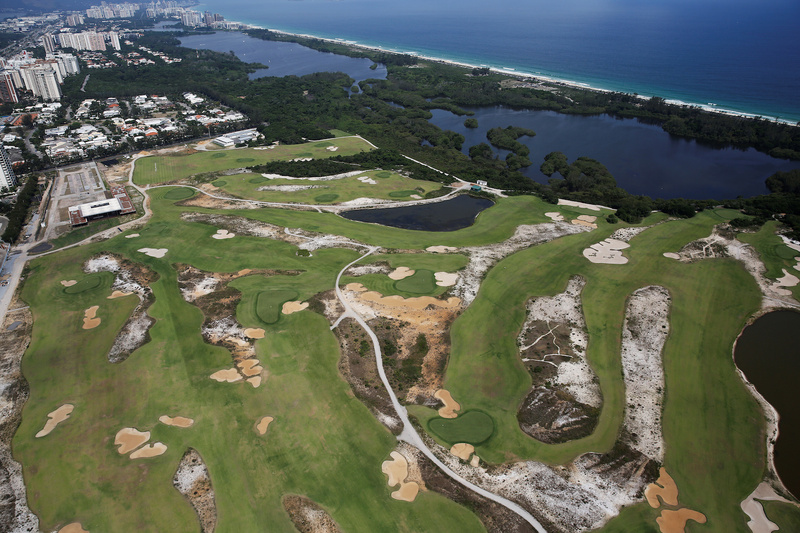 Little has been done to attract international golfers to play Rio´s new flagship course. Klaus Kaiser, General Manager of Brazil´s leading inbound golf tour operator TeamTours Brasil, has smartly packaged the OGC with Rio´s other two golf courses, select luxury hotels and multiple exciting life-style experiences but has received zero assistance to date - neither in operational nor promotional matters. Former president of The Brazilian Golf Confederation (CBG) Paulo Pacheco, however, kept reaffirming Brazil´s commitment to the golf course but blamed the shortcoming of its international promotion to the lack of basic amenities such as Pro-shop and website! What a shame to miss out on the opportunity to position Rio prominently as an exciting golf destination, to leverage the prestigious Olympic Games 2016 and hence boost the number of international high-net visitors. With Mr. Euclides Gusi as the new President of the CBG, the launch of a basic website (even though it´s in Portuguese only!!) and supposingely a new reservation system the Olympic Golf Club seems to get some minor traction. In order to reach the full potential and receive a high ROI, a horizontally and vertically integrated international golf tourism strategy has to be developed and implemented quickly. Hopefully the city of Rio will understand both urgency as well as short- and long-term values. WOW! What a waste of money and worse, a great Brazilian golf course.!! Such a shame! and it looks as if the rest of the facilities are also going to ruin.